Fast chess such as Rapid and Blitz games truly brings excitement into the world of chess. That’s the meat of the first leg of Grand Chess Tour 2018, the Your Next Move 2018 happening in Leuven, Belgium, as it brings top chess players around the globe to play rapid and blitz chess. 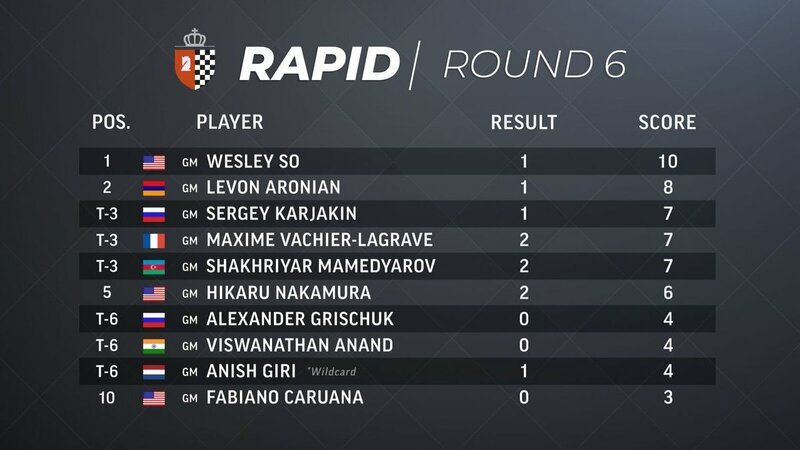 On Day 2 of the Rapid games, Wesley So pulled off yet another outstanding chess as he won 2, against Anish Giri and Alexander Grischuk, and drew against Levon Aronian in Round 6. Thus, So now leads by 1 full game against the closest runner up. Replay all rapid games of Your Next Move 2018.